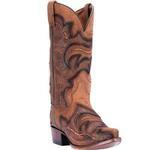 Tony Lama Bootmakers offer only premium quality of exotic leathers. They take both Aesthetic appeal and durability into consideration when choosing the right skin for their handcrafted boots. Made in the USA with global parts. Wear them all day long, or during a night out on the dance floor. 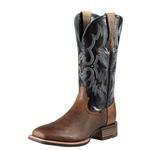 This boot from Dan Post can be dressed up or dressed down, and is great for any occasion. 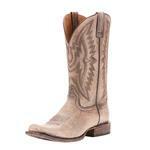 Part of the Nocona Legacy Collection, this boot is handcrafted in the USA with imported materials. 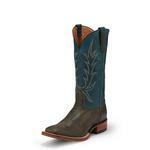 Show your support for law enforcement with this boot from the Dan Post Thin Blue Line Collection! The Thin Blue Line Flag represents law enforcement and is commonly used to express solidarity with police. 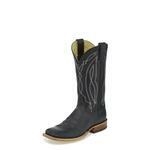 Oak ICE outsole provides extreme wear resistance, and makes it a great boot for ranch work, riding, or casual wear. A sleek silhouette great for any occasion. Made in USA with global parts. 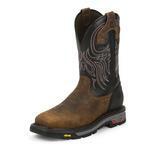 The Double-H AG7 outsole provides superior long wear, flexibility, oil resistance, and over 150 abrasion. 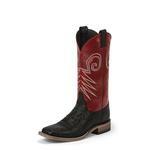 Get comfort and durability with this Ariat Tombstone boot. 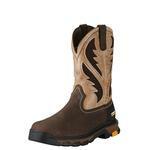 Delivers the best rebound, cushioning and all-day support for active outdoor work. Best for active, outdoor work across various terrains. The Bent Rail Collection features the J-Flex Flexible Comfort System for an all day comfort, pampered feel. 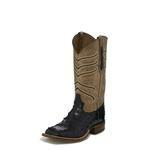 Tyson Durfey Performance Series from Corral Boots. 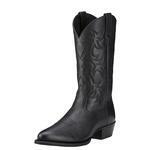 Leather lining and cushioned insole will keep you comfortable all day long. 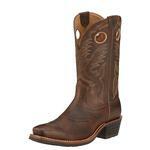 Get the true cowboy look and feel without sacrificing toughness in this Men's Heritage Roughstock Western Boot. Its Double Comfort System provides maximum shock absorption, substantial arch support and a durable, oil resisting outsole. 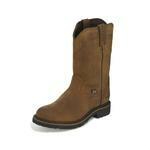 Classic design teams up with superior comfort in this traditional R toe boot. 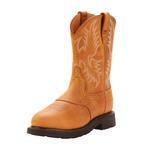 This steel toe work boot meets ASTM safety footwear standards. Vibram Commander X-5 outsole is heat resisting, non-marking and oil & slip resisting. 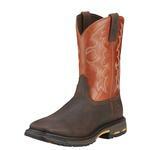 This waterproof, soft toe work boot meets ASTM F2892-11 EH safety footwear standards.